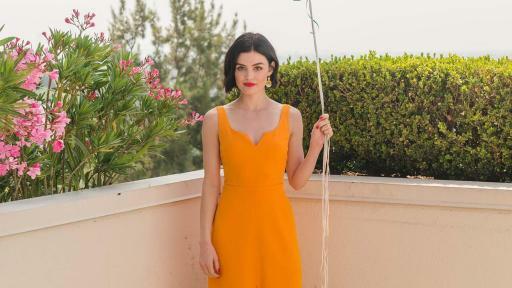 New York, NY, July 26, 2017 – Avon started the celebration for National Lipstick Day and the brand’s number one selling product, Avon True Color Lipstick with Avon Brand Ambassador Lucy Hale and celebrity makeup artist Kelsey Deenihan in Los Angeles earlier this month. With 40 shades and two finishes, there is a lipstick color for everyone and it’s no wonder why four Avon True Color lipsticks sell every minute across the country. 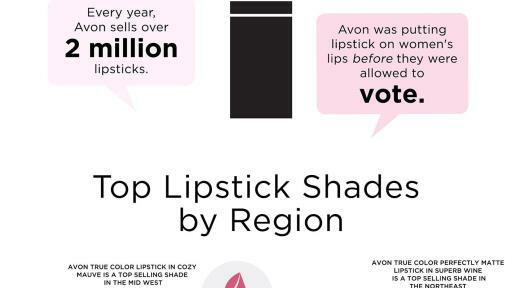 An Avon lipstick is sold every 15 seconds in the U.S. The most popular shade is Cherry Jubilee. To see a breakdown of top trending shades across the country, refer to the infographic to the right. 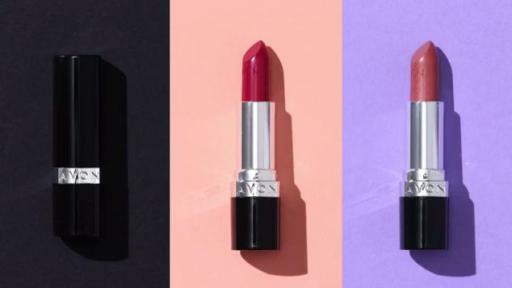 Avon sells more than two million lipsticks every year in the U.S., which means that if each lipstick were a mile, Avon could span the earth more than 500 times. Avon True Color Lipstick – The brand’s hero formula comes in over 40 gorgeous shades with two finishes: satin and shimmer. 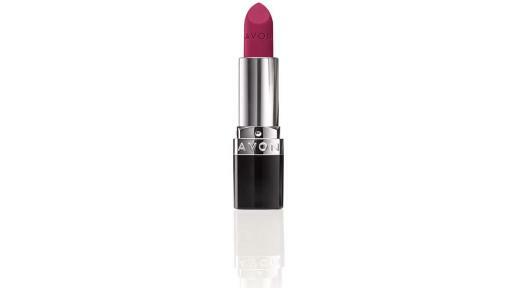 Avon True Color Nourishing Lipstick – Ten shades of lasting color and conditioning care in one lipstick, infused with nourishing jojoba oil, vitamin E, collagen and lanolin. 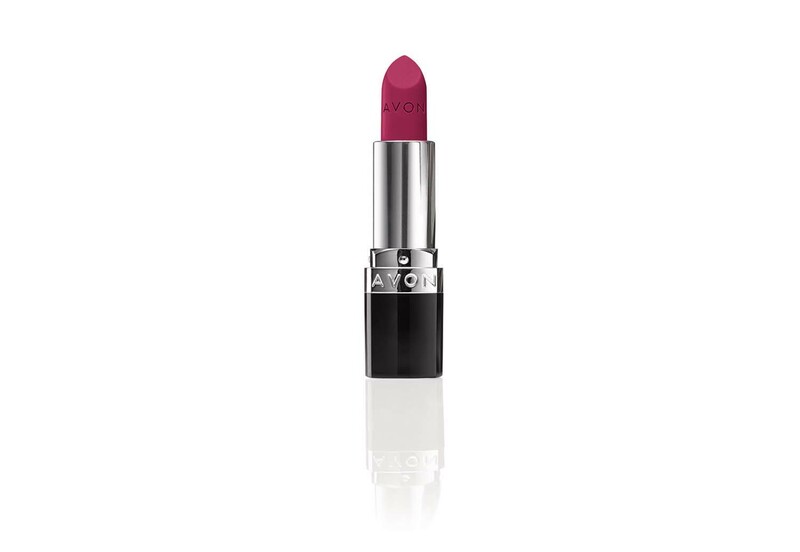 Avon True Color Bold Lipstick – This full-coverage formula is packed with pigment-loading technology in eight shades. Avon True Color Perfectly Matte Lipstick – Twelve matte shades that never cake, crack or compromise color. Join Avon in celebrating National Lipstick Day this Saturday, July 29 and enter for a chance to win all 40 shades of Avon True Color Lipstick. Enter our Truly Kissable Sweepstakes now: http://avon4.me/2upGpQp. No purchase necessary. Sweepstakes ends 11:59 pm ET 7/29/17. For more about Avon lipsticks visit our blog www.avon.com/blog/beauty/10-lipstick-facts-you-did-not-know. Avon True Color Lipsticks are available for $8 each exclusively through Avon Representatives or online at www.avon.com. To locate an Avon Representative call 1-800-FOR-AVON or visit www.avon.com. New Avon LLC ("Avon") is the leading social selling beauty company in North America, with independent sales Representatives throughout the United States, Puerto Rico and Canada. Avon's product portfolio includes award-winning skincare, color cosmetics, fragrance and personal care products, featuring iconic brands such as ANEW, Avon Color, mark., and Skin So Soft, as well as fashion and accessories. Avon has a 130 year history of empowering women through economic opportunity, and supporting the causes that matter most to women. Together, Avon and the Avon Foundation for Women have contributed over $1 billion globally toward eradicating breast cancer and domestic violence. Learn more about Avon and its products at www.avon.com.